The Personal Medical Alert Alarm is very easy to use. You can change any of your emergency contacts at any time. You can turn on or off features like fall detection warnings or low battery warnings. Full easy to follow instructions are included in the box. The Personal medical alert alarm is Australia & New Zealands best ‘Go anywhere’ personal medical alarm with inbuilt GPS satellite navigation positioning capabilities. LOCATION FINDING – If you’re worried for an elderly person that may wander, trying to locate a contractor onsite or even track a lone worker- simply text ‘Loc’ (for locate) anytime and the personal security alarm will respond by returning an SMS with the user’s location. This SMS will contain the Google Maps link, simply tapping the link will display the location of the wanderer on Google Maps. GEO FENCE – You can set three GEO Fences so if a person enters or leaves an area, the persons monitoring the units will be notified by SMS of GEO Fence being broken. Great for keeping contractors out of restricted areas, or knowing if someone wanders out a house door they are not supposed to. FALL DETECTION – Are you worried about falls? The alarms includes Falls Detection with 10 second delay to cancel for false alarms. RECEIVING AND MAKING A NORMAL PHONE CALL – Call into the personal security alarm anytime and the incoming call can be answered by the user pressing the SOS button momentarily. Press and hold the discreet side call button to make a normal phone call to the first emergency contact. EASY TO PROGRAM – Simply program the personal security alarm by texting commands from any mobile phone. Easy to follow instructions are included in the box. Works in the home or wherever you are providing you have 3G cellular coverage. Please contact your network provider to confirm coverage in your area. Each of the help me text messages contain a link to Google Maps with the pendant location via the inbuilt GPS accurate to within a few meters. 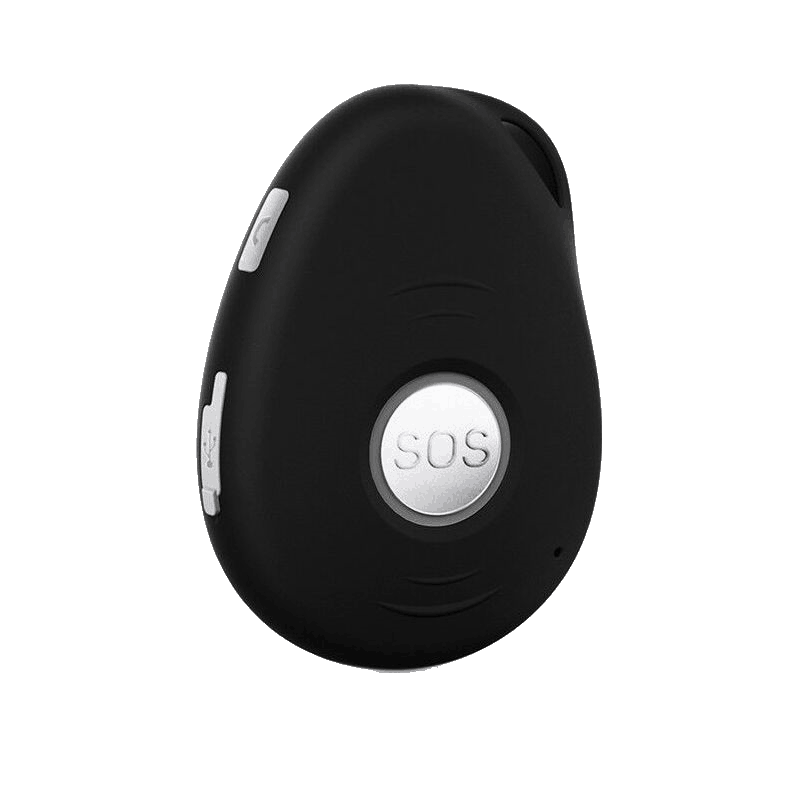 Press the SOS button and the alarm pendant begins to call your contacts in your chosen order. The wearer talks and listens hands free through the pendant like a speaker phone. When the first responder calls you, no need to fiddle with buttons, it answers automatically. Hands free communication through the in-built microphone and speakerphone with clear, high quality audio & mic. The Pendant Alarm contains a fall detection feature. When a serious fall is detected, it will vibrate for a short time before sending text messages and making the emergency contact automatically. Feel Confident, be independent – Live your life! If you are a carer, emergency contact or responder for the personal alarm, there are additional features that can benefit you. #1. Anyone knowing the pendant alarms phone number can call the pendant, and the pendant can call out like a normal cell phone. Someone can call the mobile phone number of the pendant and talk to the wearer through the in-built speaker and microphone. Additionally, the wearer can press the side talk button anytime and make a call to a predefined emergency contact like a regular phone using the speakerphone. If you wish to you can send a simple text message to the pendant and you will receive a reply text showing the wearer’s location on a link to Google Maps. You can choose to have a ‘low battery’ warning text message send to each emergency contact when the battery falls to below 15% charge. The default is that the ‘low battery’ warning is on. This can be turned off if desired. The Pendant Alarm has a Geo Fencing (Invisible fence) feature that allows warning text messages to be sent if the wearer strays outside outside a defined area such 200 meters or 500 meters. Ideal for some people suffering from dementia or if you want to ‘fence’ an area the should not be. After you receive your Pendant Alarm you are able to change settings and turn on/off features by sending simple text/sms messages to the pendant phone number. The Pendant Alarm is weatherproof so it can be worn in the shower or the rain. It is also dust proof and can be used in dusty or rugged locations with care. The included charging station allows the wearer to pop in it in there when it needs to be recharged. Many people keep the charging station next to their bed and recharge it overnight. One recharge should give about 3 days use. Buy one today! What are you waiting for?